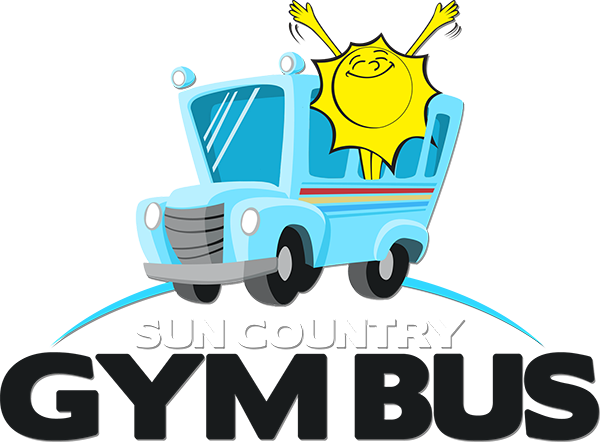 The Sun Country Sports iconic mobile gymnasium travels to area schools, daycares and community events to provide a convenient, structured workout for kids! Our self-contained unit comes complete with professional equipment for the beginner gymnast, and our certified coaches provide an exciting curriculum in this unique environment. The Gym Bus is a great opportunity for kids to get active and learn beginner gymnastics during school time. It offers the perfect solution for time-strapped parents. The Gym Bus is also the area’s only preschool program that offers a credit if your child is absent from class, so you get exactly what you pay for. To receive credit for absences you must inform Sun Country Sports Center ahead of time by calling directly, sending us an email or filling out the absence request form below. 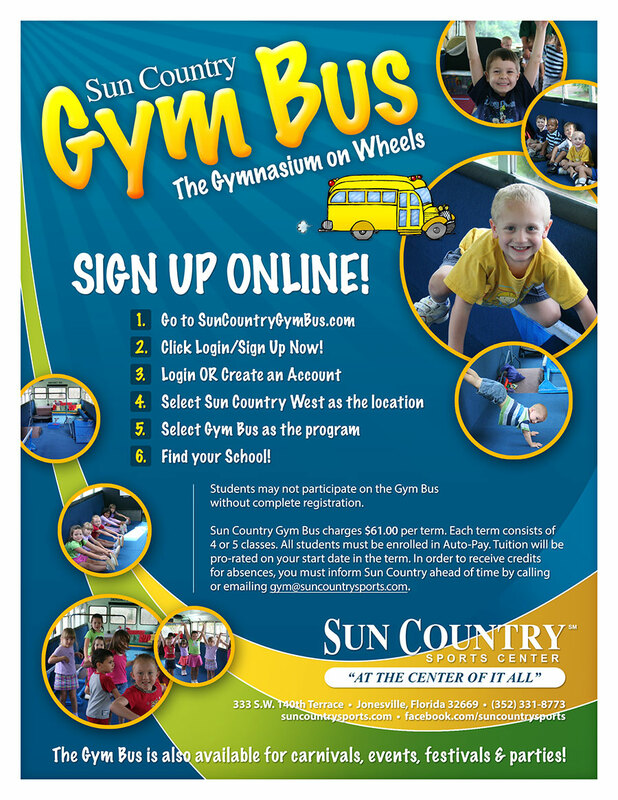 Fill out the form below in order to call in an absence for the Sun Country Gym Bus. Make sure this is taken care of before your child misses any classes. Some schools have parents pay the school directly or pay for every child. Please check with your school for our current arrangement. The Gym Bus is also available for Birthday Parties, Carnivals, Company Picnics and Celebrations. Call (352) 331-8773 for more information about our mobile gymnasium! The Gym Bus Department’s mission is to bring Sun Country preschool gymnastics out into the community, enriching young children’s lives and encouraging a healthy lifestyle at an early age.